Due to GGXrd’s rising popularity, today we are adding it to our rankings including the results from June. Here are the Top 3 in each game after July’s Ranbat. Join us for our next Traditional Fighters + Melee day on September 17th and Smash 4 day on September 24th for fun casuals and perhaps to add your name to the ongoing tallies! We’re incredibly excited to announce that CouchWarriors, in collaboration with NewGamePlus, will be running the Video Gaming area at this year’s Animaga convention! We’ll be hosting Learn to Play along with casual matches and tournaments. To sign up simple ask our kind staff at the front desk of the VG area. If you want to swap to a particular game during freeplay time, just ask one of our staff members for assistance. Specific game rules will be announced before tournament start. All brackets are capped 32 or 64 man double elimination bracket. Please allows for upto 2 hours for a 32 man tournament. If you are unable to stay to play your matches please notify the TO. Players may use their own controllers, but must remember to desync their wireless controllers between games. Match penalties may apply if an owners wireless controller disrupts another station. Hello everyone. Tones here, I’m out in Chicago lining some things up for myself. The other day I was walking through the Harold Washington Library when I noticed in the people in the teens’ chillax area playing smash. Talked with the staff there and when they tell me about this Hugo guy, a local teen that has been organizing regular competitions and how “he’s extremely passionate and outgoing, we let him run and lead things.” So I talked about how the scene is back in Melbourne Australia, about how I’ve part of this group called Couch Warriors and how we’ve been doing events since 2007. They invite me to the “Library of Smash” tournament where Hugo will be doing his thing. Like a lot of us Hugo has always enjoyed playing video games, he got involved with the offline Smash scene. Found it fun, awesome and hype and all that cool stuff but was put off by how salty rude it can get. At the age of 16 he goes out and creates his own scene with the culture he thinks the scene deserves – a positive and friendly competitive environment. Now they are frequenting 50 a tournament, he has single handedly TOed a 74 man tournament all the way through despite a fire break out in the middle of it. Sounds pretty serious yeah? Well, he calls it semi competitive. What it is though is just super hype and friendly. He understands the importance of building community. Taylor works at the Library and is Hugo’s right hand girl for tournament duties. Hugo: “I wanted people to see that if you have the passion and effort, you can do so much for the things you enjoy, no matter what it is”. Be sure to send him some love if you’re in the area. Hugo is a positive ball of energy doing good things for the e-sports scene on the ground level. Was a pleasure to meet him in the area of Chicago at Library of Smash and to send him some love. Anytime Hugo buddy. Cheers, Tones. Join us for our next Traditional Fighters + Melee day on August 20th and Smash 4 day on August 27th for fun casuals and perhaps to add your name to the ongoing tallies! 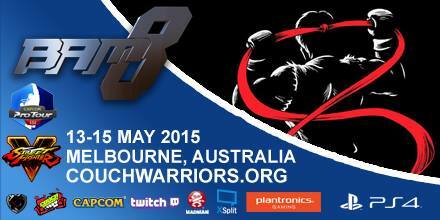 CouchWarriors ranbats are back in August – the traditional fighters + Melee ranbat will be on the 20th of August. And we have the Smash 4 + Rivals of Aether July Ranbat on the 27th of August. CW Traditional Fighters+Melee August Ranbat – Preregister by making a Smash.GG account and visit here to register. CW Smash 4 August Ranbat – Preregister by making a Smash.GG account and visit here to register.